I’m a true North Carolina girl, born and bred. I’m an avid Sunday brunch consumer with an obsession for southern style biscuits. In fact, I wholeheartedly believe that my love language is food. Making lists, fresh flowers and a hot cup of coffee in the morning sun feeds my soul. I crave lazy days on the North Carolina coast and adventures in the Blue Ridge Mountains. 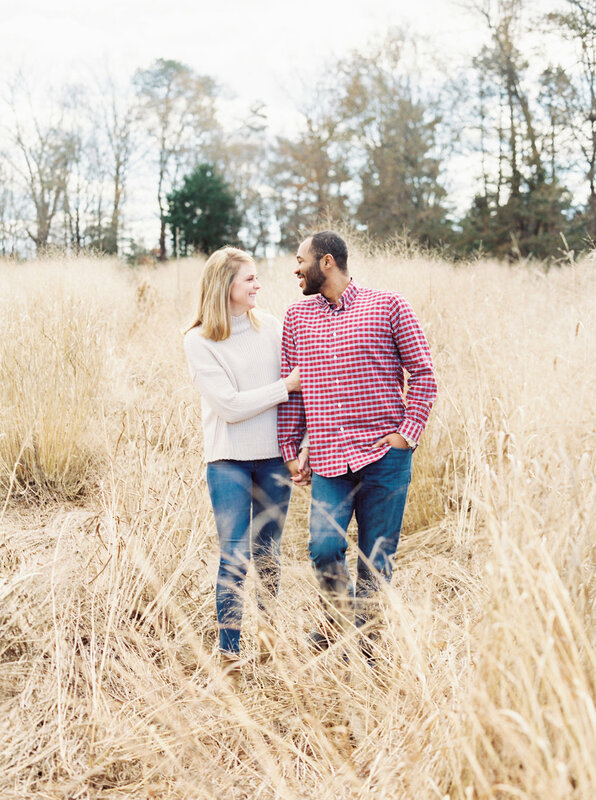 My husband and I live in Durham, North Carolina and love spending time with each other, traveling to new places and relaxing with our pup, Winston. My photo journey started in high school at Durham School of the Arts where I instantaneously fell in love with creating images in the darkroom. I was fascinated with the ability to create images using natural light and memories that could last forever. Since then, I have adapted my style to capture love stories across the state of North Carolina and beyond. I strive to create genuine moments and unique photographs that represent our stories, traditions and legacies. My goal is to intentionally capture your wedding day that will preserve your legacy for generations to come. I would love to get to know you and hear your story!